Why do some social groups or societies persist for generations and others disappear in only a few generations? How is the integration and coherence of a society developed and maintained? Benedict, Gluckman, Barth, and Wilson all believed in specific mechanisms that sustained traditional values and societies over time. In this paper I will compare and contrast the various explanations for cultural coherence and longevity put forth by Ruth Benedict, Max Gluckman, Fredrik Barth and David Sloan Wilson. 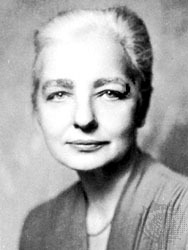 According to Ruth Benedict, each culture is dominated by an ideal personality type or personality pattern. In contrast to the prevailing Western European ethnocentric views of her day, she believed in “cultural relatavism” –that all cultures were relative in value with none more primitive and inferior or more advanced and superior than others. Benedict explained that societies maintained their culture by pressuring members to conform (Benedict 1934:232; 273). In her best-selling book Patterns of Culture, she contrasted three self-contained (in the parlance of her day, they were called “primitive”) cultures to demonstrate how the dominant values and behavioral norms of each were different and how each culture pressured its members to conform: the Zuni of the American Southwest, the Kwakiutl of the American Pacific Northwest, the Dobuans of the South Pacific (Erickson 2006:93). She categorized each culture by its dominant personality type using labels from the German philosopher Fredrick Neitzche. She labeled the characteristically calm, conformist and modest Zuni society “Appollonian”, the excitable, extravagant and arrogant Kwakiutle society “Dionysian” and the distrusting, competitive and fearful Dobuan society as “Paranoid” (Benedict 2005). Those who conform to the values and behaviors epitomized by their culture’s ideal personality type, succeed in their society. The minority of those who do not, are pressured to conform or are deemed abnormal and cast out of society. Unlike Sigmund Freud who believed that there was a fundamental conflict between the needs of the individual and the rules of society and culture, Benedict believed that the individual’s culture is integrated with the society’s culture. Or, in her words she said: “personality of an individual is drawn from [his or her] culture (Erickson 2006:93; Freud 1930:2). The longevity of a culture was determined by its ability to have the majority of its members internalize it’s values while suppressing the dissenting values and behaviors of the minority. Benedict describes how cultures influence how people think as well as provide people who “fit their culture” with opportunities for success. And the minority who doesn’t conform, she explains, are “persons who are put outside the pale of society with contempt” (Benedict 2005:259). She gives an example of the damage of intolerance of those who do not conform to a culture’s ideal type with the psychiatric pathologization of homosexuality in her own culture in the 1930s. She says, “Western civilization tends to regard even a mild homosexual as an abnormal. The clinical picture of homosexuality stresses the neuroses and psychoses to which it fits rise, and emphasize almost equally the inadequate function of the invert and his behavior. We have only to turn to other cultures, however, to realize that homosexuals have by no means been uniformly inadequate to the social situation…In some societies they have even been especially acclaimed” (Benedict 2005:262). Since Benedict knew that the norms and values of a culture dictated behavior, she worked with other progressive social scientists such as Margaret Mead during the 1930s and 1940s to dispel racist beliefs and repressive gender stereotypes for women. 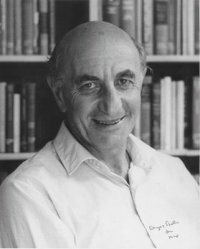 Max Gluckman applied British structural-functional theory to colonial African societies undergoing social change. He explained the social cohesion of traditional African tribal groups as due to their interpersonal conflicts being mediated by cross-cutting loyalties within their society and their adherence to tradition. Gluckman’s theory of social cohesion based on divided loyalties and observed traditions is known as the conflict theory of social cohesion. “If there are sufficient conflicts of loyalties at work, settlement will be achieved and law and social order maintained,” according to Gluckman in his book Custom and Conflict in Africa (1973 :17). The book is a collection of lectures about how conflict paradoxically creates social coherence based on his field work in present day Kambia in the 1930s as well as the Nuer and Zulu of Natal in South Africa. Gluckman shows that traditional rituals, what Sir James Frazier called “rites of reversal,” serve to preserve the social order by allowing a “protest against the established order” that temporarily reverses roles and symbols which functions to preserve and strengthen social structure (Gluckman 1973:109). Examples include political feasts where a king is ritually insulted, ridiculed and threatoned and Zulu agricultural rites where normally modest girls act with license and commit public obscenities (Gluckman 1973:110). The temporary and ritualistic “open expression of conflict” between the participants of some marriage rituals and reversal of roles worked to reinforce the traditional order and gender roles in the African groups Gluckman studied (Gluckman 1973:119). Rites of reversals are a cultural universal according to Gluckman and server to preserve social order. In the United States, the celebrations of Halloween and Mardi Gras celebrations function as rites of reversal the preserve Christian beliefs and traditions. According to Norwegian anthropologist Frederick Barth, the basic unit of social life is the individual. It is individual choices based on rational self-interest, that collectively produce a society’s political organization. Barth calls these choices “economic transactions” between individual actors as they are based on reciprocal acts of value (Erickson 2008:166; Gordon 2011:20). The Transactional Model directly challenged the British Structural model of political organization that held that a society must be “within a territorial framework” and was held together by social norms and the use or threat of physical force (Barth 2004 :1). Barth first introduced the Transactional Model in his ethnographic monograph The Political Organization of Swat Pathans published in 1959 (Barth 2004 ). In this book, Barth showed that it is individuals who create the social order based on their individual self-interest rather than elites per the structural-functionalist perspective or competing class interests per the Marxist perspective. Barth literally grounds his transactional theory in the material world of resources and self-interest with his ecological perspective of the inter dependencies between the herders, merchants, traders and the farmers in the Swat Valley. Barth describes the local political structure as a network of political allegiances between individuals with their leadership gained through traditional reciprocal transactions between them and their followers. The only entity with an authority that transcended these individual allegiances and feuds was the authority of tradition as interpreted by Islamic holy leaders (Barth 2004 ). Barth developed the modern theory of ethnicity (also known as the “relational theory of ethnicity”) to explain why some cultures remain differentiated from others and persist in pluralist societies (Erickson 2008:166). According to Barth, ethnic identity is self-ascribed and is based on the boundaries of relationships between people that “can be manipulated strategically by individual actors for political, economic and ecological reasons” (AnthroBase 2011). As such, ethnic identity in the Transactional sense is concerned with “meaning” and “knowledge” that can be commoditized through economic transactions (AnthroBase 2011). In Barth’s most famous work, Ethnic Groups and Boundaries (1969), he shows that norms and traditions that persist over time are the ones that that serve as boundaries (and markers of difference) between different cultural groups. Examples of such traditions that keep groups separate and instil group coherence would long-standing traditions such as religious obligations, endogamous marriage rules, and food taboos. According to Barth, it is these boundary traditions, “rather than the ‘cultural stuff’ which the boundaries enclose,” which allow cultural traditions and ethnic groups to persist in plural societies (Barth 1969;Gordan 2011:21). David Sloan Wilson, an evolutionary biologist, applies Darwin’s group selection theory as a theoretical model to explain the ubiquity of religious groups throughout human history. He explains the persistence of some religious groups over time as culturally (not just biologically) heritable evolutionary adaptations. This is to contrast with the biologically determinist perspectives evolutionary biologist and entomologist E.O. Wilson (no relationship) and biological anthropologist Robin Dunbar who hold that Darwin’s group selection theory is based solely on biologically inherited traits. David Sloan Wilson proposes to discover with his research if religious groups are adaptive social holisms that evolve much like biological organisms: “My purpose is to see if human groups in general, and religious groups in particular, qualify as organismic in this sense” (Wilson 2002:1). Wilson supports his assertion that religious groups are culturally evolving group adaptions in his book Darwin’s Cathedral: Evolution, Religion, and the Nature of Society. In the book he reviews the progression of scientific thought on group-level adaptation, noting the rejection of it during the “age of individualism” from the 1960s through the 1980s (Wilson 2002:2). His “organismic” portrayal of the adaptive nature of groups evoked Durkheim, the forerunner of Structuralism and Functionalism, who believed societies cohered and evolved over time as collective whole (Erickson 2006:17; Wilson 2002:1). Dukheim said that all religions are adaptations “in different ways, to the given conditions of human existence” and over time, religions evolved to become more complex (Durkheim 2008:4-5). Wilson believes that evolution is “not restricted to genetic evolution” and that successful religious systems have a fitness advantage for their members over non-religious systems in certain environments (Wilson 2002:11). Wilson also pays homage to Durkheim and his functionalist theoretical perspective of the function of religious groups in “delivering practical benefits” to their members (Wilson 2002:52). Wilson explains the success of Calvinism during the Renaissance and Protestant Christian beliefs that came from it due to religious group behavior that is motivated not so much as by “factual knowledge” as by a “symbolic belief system” (Wilson 2002:229). Wilson believes that religious beliefs (even magical ones) that motivate prosocial behaviors are reinforced by net social benefits (such as peer pressure from censure avoidance or increased social status). These beliefs, even if implausible to non-believers, are more likely to endure due to their social status advantages than ideas based on “factual knowledge” (Wilson 2002:230). Barth, Frederik (2004 ) Political Leadership Among the Swat Pathans London School of Economics Monographs on Social Anthropology. Oxford: BERG. Barth, Fredrik (1998 ) Ethnic Groups and Boundaries, New York: Waveland Press, Inc.
Benedict, Ruth 2005 (2005 ) Patterns of Culture, New York, NY: Houghton Mifflin Company. Durkheim, Émile (2008) The Elementary Forms of Religious Life. New York, NY: Oxford University Press. Erickson, Paul A., and Liam D. Murphy, Editors (2006) Readings for a History of Anthropological Theory, Orchard Park, NY: Broadview Press. Freud, Sigmund 1961 (1930) Civilization and Its Discontents, New York, NY: W.W. Norton & Company. Gluckman, Max 1973 (1956) Custom and Conflict in Africa, New York, NY: Harper & Row Publishers. 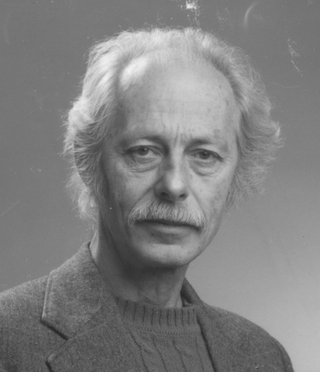 Gordon, Robert, Andrew P. Lyons, and Harriet D. Lyons (2011) “Frederik Barth (1928–),” Fifty Key Anthropologists, Routledge Taylor & Francis Group, 18-24. 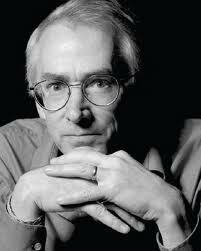 Wilson, David Sloan (2002) Darwin’s Cathedral: Evolution, Religion, and the Nature of Society. Chicago, IL: University of Chicago. This entry was posted in Cultural Anthropology, Evolution, Social Structure, Society & Culture by arkirwin. Bookmark the permalink.